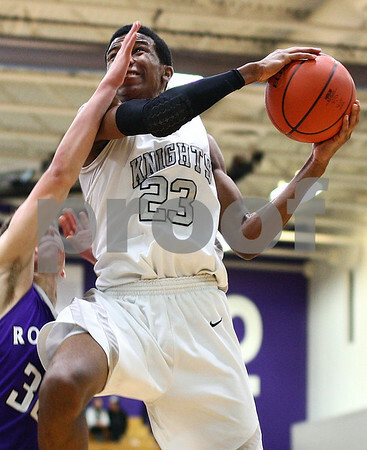 Kaneland's Marcel Neil is fouled by Rochelle's Grant Prusator during the second quarter. Kaneland defeated Rochelle 65-61at Rochelle Township High School on Friday, March 2, 2012. The regional championship is the first for Kaneland under third-year coach Brian Johnson.